Zero Suicide is an idea generated from the 2012 National Strategy for Suicide Prevention, now a multi-state approach to suicide care. The core concept is that deaths by suicide can be prevented with collaboration between health & mental health systems. The structure supports client safety, staff training & competence, and monitoring of outcomes. Vermont started exploring the use of Zero Suicide in 2015 with 2 pilot projects at Howard Center & Northwestern Counseling & Support Services (NCSS), and Lamoille County Mental Health Services (LCMHS) joined in 2016. The Zero Suicide website (zerosuicide.sprc.org) offers evidence–based research, videos, a “toolkit,” & documents with basic information & step-by-step guidelines to implement this strategy. It is organized into seven elements: lead, train, identify, engage, treat, transition & improve. LCMHS’ planning committee includes staff from all programs at LCMHS and a family member of someone who died by suicide. We have a new policy with procedures for suicide care, including a Suicide Care Pathway for persons who are in need of this service. Part of this pathway involves the use of Collaborative Assessment and Management of Suicidality (CAMS), an evidenced-based therapy approach, for adults and children at risk for suicide. Another piece is using the Columbia-Suicide Severity Risk Scale (C-SSRS) as a screening tool to assess level of suicide risk. Our goal is to eventually train all staff at LCMHS to be able to offer some initial support and direction to find help for those at risk for suicide. Stay tuned for more information about this training process! 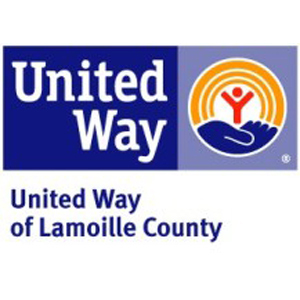 We are also reaching out to our community partners, and will be offering CAMS training to some, thanks to a grant from United Way. We continue to educate and support our community around suicide, including participating in September Suicide Prevention month. LCMHS Zero Suicide committee: Bryanne Castle, Jane Paine, Jessica Strong, Julie Sullivan, Miranda Bevins, Michael Hartman, Mimi Bernier, Monique Reil, Rebecca Brooklyn, Will Baker.